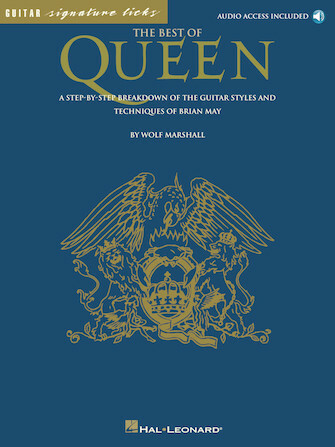 This hands-on analysis of 18 Queen classics lets you explore the guitar styles and techniques of Brian May. Includes: Another One Bites the Dust • Bohemian Rhapsody • We Are the Champions • We Will Rock You • and more. Audio is accessed online using the unique code inside the book and can be streamed or downloaded. The audio files include PLAYBACK+, a multi-functional audio player that allows you to slow down audio without changing pitch, set loop points, change keys, and pan left or right.